Non-metallic crowns or non-metallic ceramics represent a type of high-tech compensation made entirely of ceramics. They can mimic the natural characteristics of teeth and permeate light as a natural tooth. Non-metallic ceramic crowns ideally fit into the dental array, especially in situations where all teeth are not replaced, but only some of them can not be distinguished. They are made from bio-compatible materials, which means that they do not cause any reaction to surrounding tissues, but allow the formation of gingiva as a natural tooth. They represent a combination of top quality and durability of compensation. Mechanical properties of ceramic nonmetallic are similar to those of metal ceramic crowns, but the benefits are far greater. Metal ceramic crowns in their interior have a metal alloy, on which the ceramics are applied on the outside to achieve aesthetic effects. 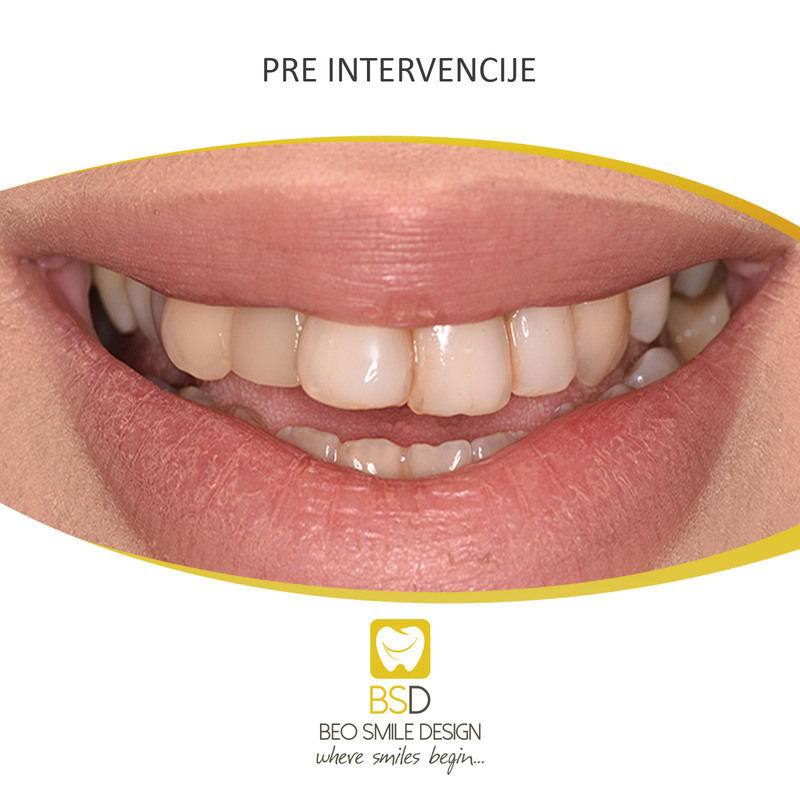 Consequently, in metal-ceramic crowns there is the possibility of a gray border in the form of a crescent at the passage of the tooth, with the time the gums begin to withdraw. In the case of non-metallic ceramic crowns, this can not happen, because the inside of the crown is in the color of the tooth itself, and by pulling the gums will not disturb the aesthetic effect. Removing the tooth substance (tooth grinding) is far less in the case of making non-metallic crowns. For example, to make a metal-ceramic crown, it is necessary to remove 1.5-2.0 mm, while to make a non-metallic ceramic crown it is necessary to remove from 0.3 to 1.0 mm of tooth. In most cases, the non-metallic crown is made of zirconium or lithium-disilicate ceramics. Thus, a crown made of similar glass material is obtained, light and transparent, and resistant as much as a natural tooth. Crowns made of zirconium represent a very popular type of non-metallic compensation. Zirconium has exceptional mechanical properties. It is white and it is one of the strongest materials. Initially, it was used in space technology, and after long-term research, it found application in some branches of medicine, for example, in orthopedics in artificial hooks. Zirconia zircons have excellent aesthetic and mechanical properties, and their expansion has been experienced due to the possibility of making non-metallic bridges of a large range. Although this material has revolutionized the crown making technology, the aesthetic properties of lithium-disilicate ceramics are still inviolable.